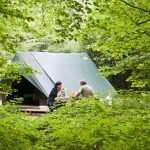 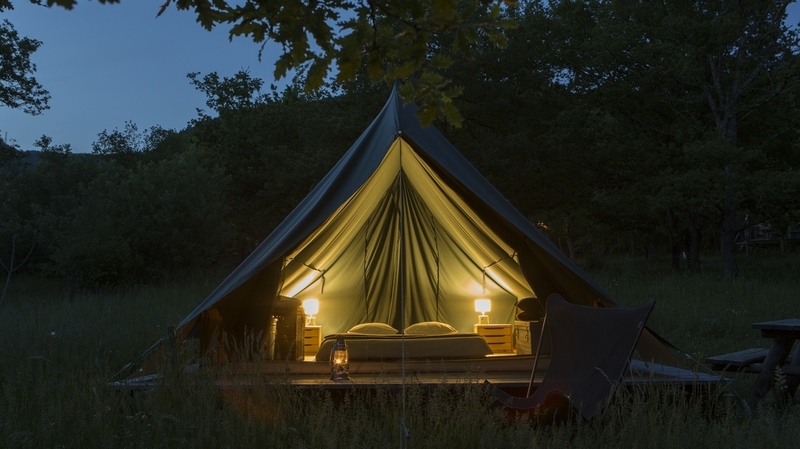 Enjoy a get-away as a couple with the Bonaventure tent. 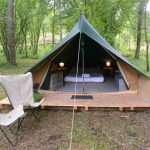 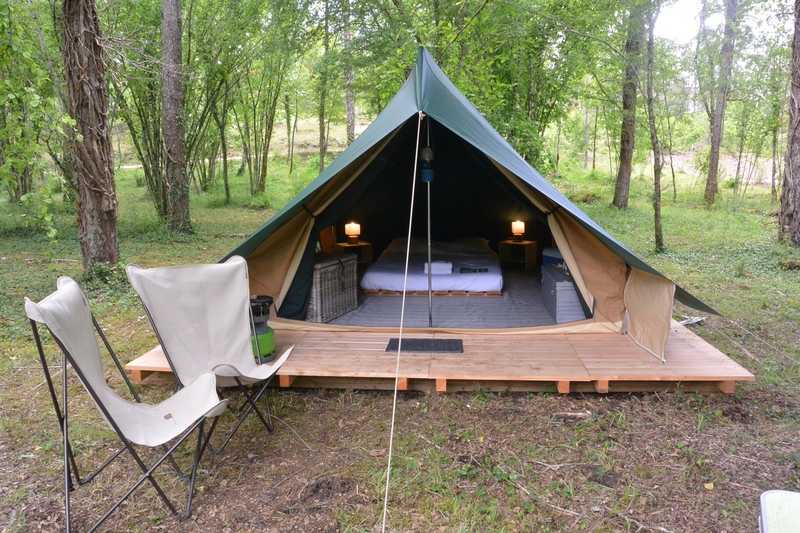 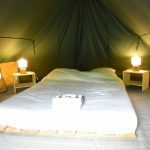 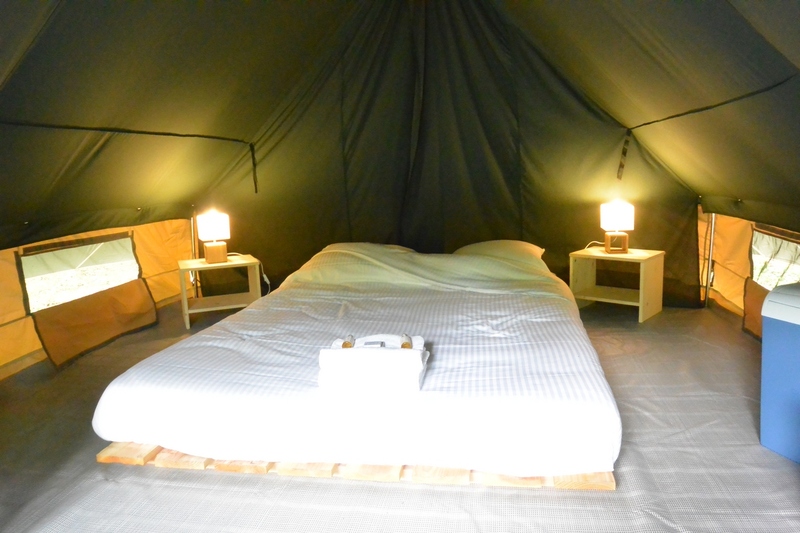 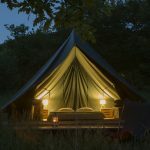 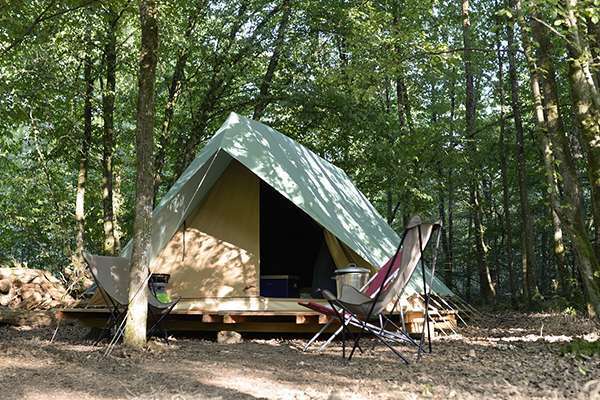 With its « cocoon » atmosphere, you can camp in comfort under a canvas roof in the midst of nature! 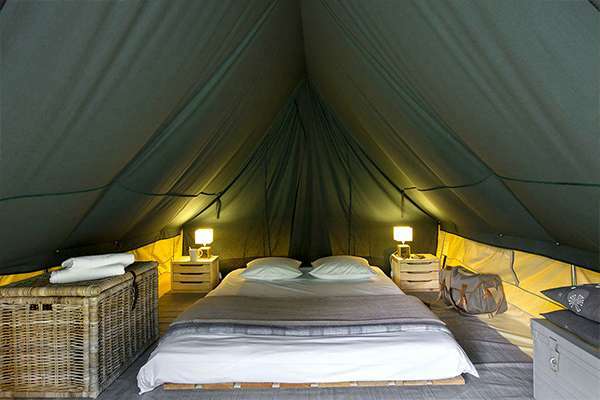 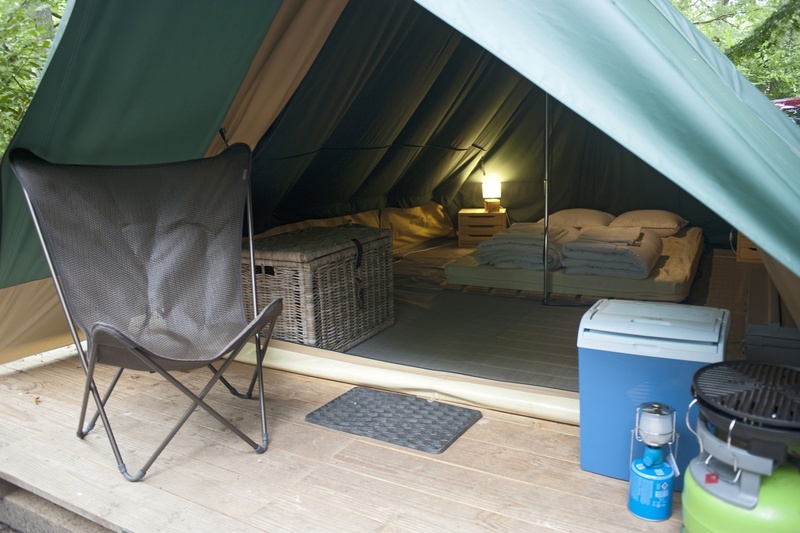 In this snug tent, you can enjoy the pleasures of sleeping under a canvas roof with all the comfort of a good bed! 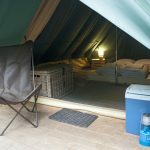 Kitchen area: an electric cooler, crockery, a gas stove. 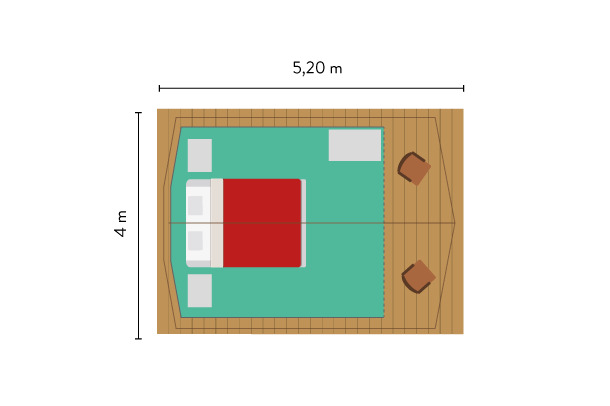 Exterior: wooden terrace, a wooden picnic table, and a fire pit.